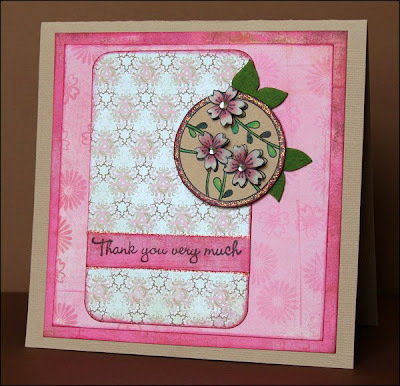 It's my turn on the my Stamp BOX blog today! Click here to check out the ideas I shared as well as another layout. Enjoy! 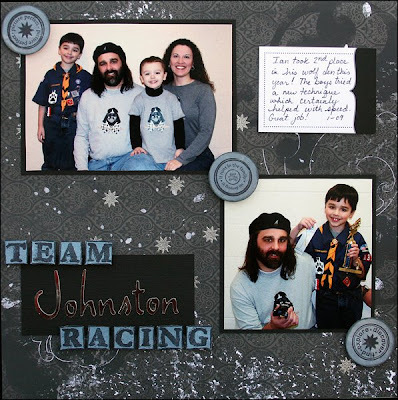 Do not adjust your monitor - that is NOT a scrapbook page or card...YET! This weekend I had the pleasure of attending a women's retreat with some dear friends from church. 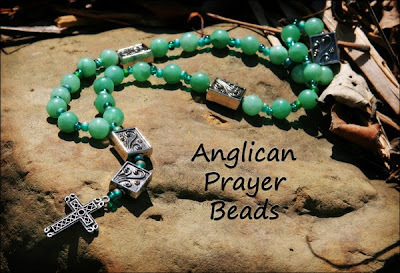 One of our activities was making Anglican prayer beads. I thoroughly enjoyed this project and loved my beads (shown above) and the fact that they were blessed before we left the retreat. Just thought I'd share since this is crafty and will most likely end up scrapbooked at some point in the near future. Have a blessed day! Today we have an extra special challenge at Caardvarks. Our friends at Hero Arts supplied the DT with stamps to play with, and we created a whole gallery of projects with them! This challenge is to create a *NEW* card using this sketch by the fabulous 'Vark Heidi Van Laar. 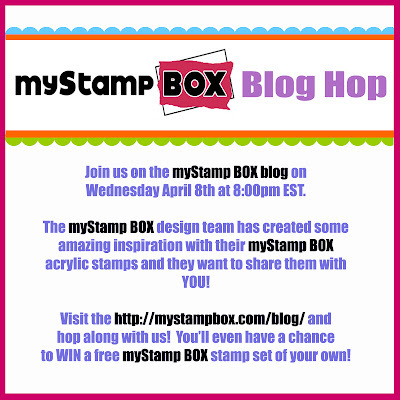 Upload to Mr. Linky at the 'Varks blog by midnight on April 3rd to win some fabulous stamps from Hero Arts! Be sure to check out the Hero Arts cards I shared a few posts ago (here and here) and these new ones featuring Basic Grey's Marrakech collection. These colors just call my name! Can't wait to see what you make for this challenge! 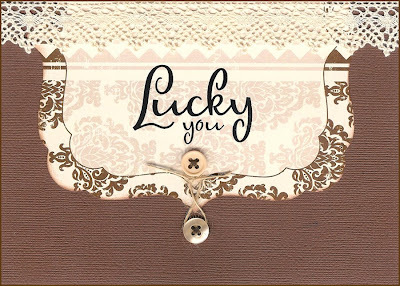 It's my day on the my Stamp BOX blog! 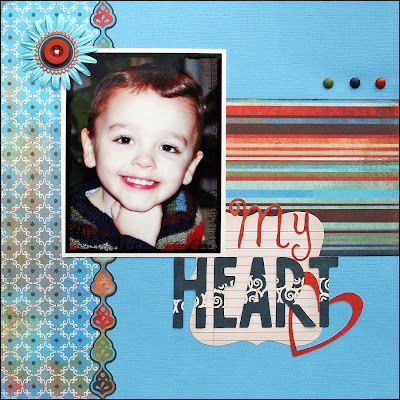 Click here to get the stamping tips for this layout and an additional card. Details for this layout are here. It's challenge day at Caardvarks! 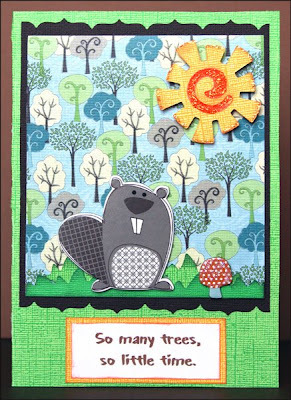 Create a *NEW* card using a critter of some kind and link it up to this 'Varks post using Mr. Linky by midnight March 18th. What's up for grabs this month? How about a lovely kit from Label Tulip! Be sure to check out our new feature at Caardvarks. 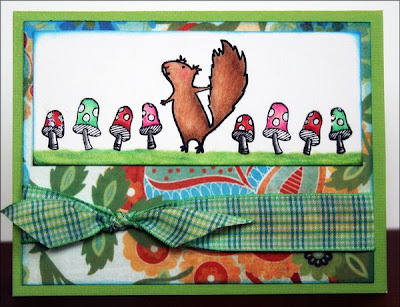 For each challenge we'll also be posting caards of course AND a another special project. Today's cool fry box is from the lovely Laura, so be sure to stop by! 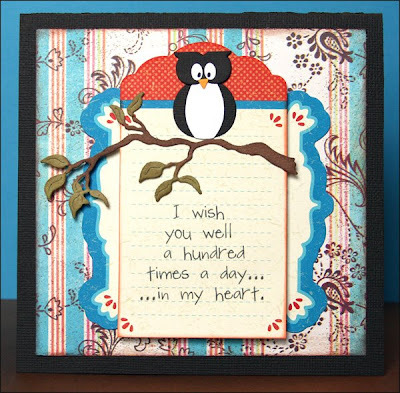 My first card features a darling little QuicKutz owl courtesy of my pal Carolyn. Details are here. The beaver card just cracks me up! Details for that card are here. Can't wait to see your critters! The fabulous Becky Fleck has released her March set of PageMaps, go see! I was lucky to be able to design for one of the new CardMaps this month (shown above). Details for this card are here. I was tickled to see a gorgeous card from my pal and fellow Caardvarks designer Stef right next to mine. (I keep telling Stef that when I grow up as a stamper I want to be her, but she just giggles at me.) 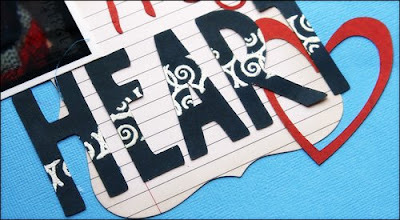 This card also kicked off a little obsession of mine with the spiral journaling notebooks from Making Memories. The last few cards that I have made this week use sheets from these cool little books. What's your latest scrappy obsession? my Stamp BOX Blog Grand Opening! Today's the day! 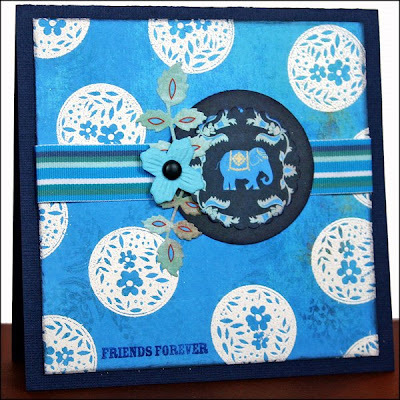 my Stamp BOX is holding a grand opening for its brand new blog today. Be sure to stop by and enter (up to two times) for your chance to win a set of stamps that's so new it's not even in the store yet! This set called Oval Office has six different sentiments that are perfect for a variety of occasions. I love how there are two different fonts for each sentiment. Three lucky winners will take one of these stamps sets home, so leave a comment on the my Stamp BOX blog by March 31st and spread the word! Remember to keep checking back to the blog. The designers have lots of fun projects ready to share throughout the month. Good luck!